Travel the world and battle the forces of S.C.U.M. in JAMES BOND JR. Take on the evil Dr. Derange in Central America or confront Maximillion Cortex in Venice. Along the way, Bond will discover a variety of special items that will enhance his personal weapons and create an arsenal that that will destroy any foe. At times, Bond will have to use a minicopter, a speedboat, and a jet to get in the way of evil. See if you can stop S.C.U.M. 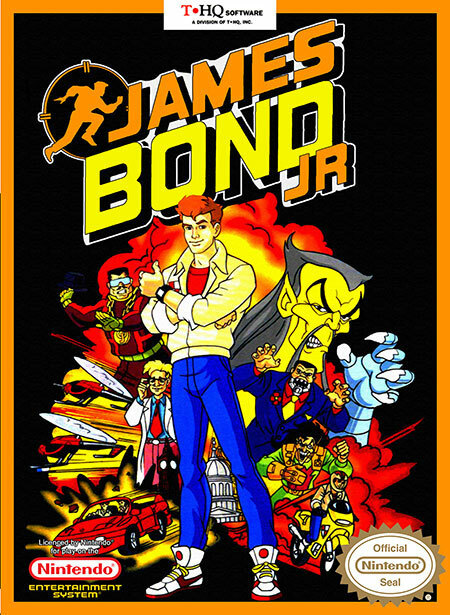 in JAMES BOND JR.